The Symptom and the Subject takes an in-depth look at how the physical body first emerged in the West as both an object of knowledge and a mysterious part of the self. Beginning with Homer, moving through classical-era medical treatises, and closing with studies of early ethical philosophy and Euripidean tragedy, this book rewrites the traditional story of the rise of body-soul dualism in ancient Greece. Brooke Holmes demonstrates that as the body (sôma) became a subject of physical inquiry, it decisively changed ancient Greek ideas about the meaning of suffering, the soul, and human nature. By undertaking a new examination of biological and medical evidence from the sixth through fourth centuries BCE, Holmes argues that it was in large part through changing interpretations of symptoms that people began to perceive the physical body with the senses and the mind. Once attributed primarily to social agents like gods and daemons, symptoms began to be explained by physicians in terms of the physical substances hidden inside the person. Imagining a daemonic space inside the person but largely below the threshold of feeling, these physicians helped to radically transform what it meant for human beings to be vulnerable, and ushered in a new ethics centered on the responsibility of taking care of the self. 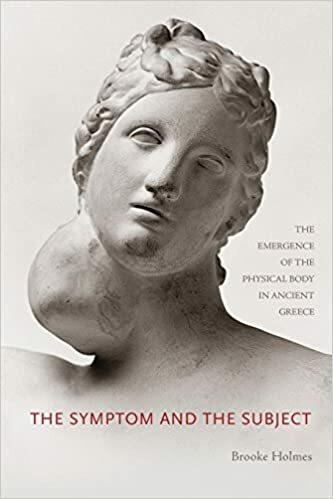 The Symptom and the Subject highlights with fresh importance how classical Greek discoveries made possible new and deeply influential ways of thinking about the human subject.